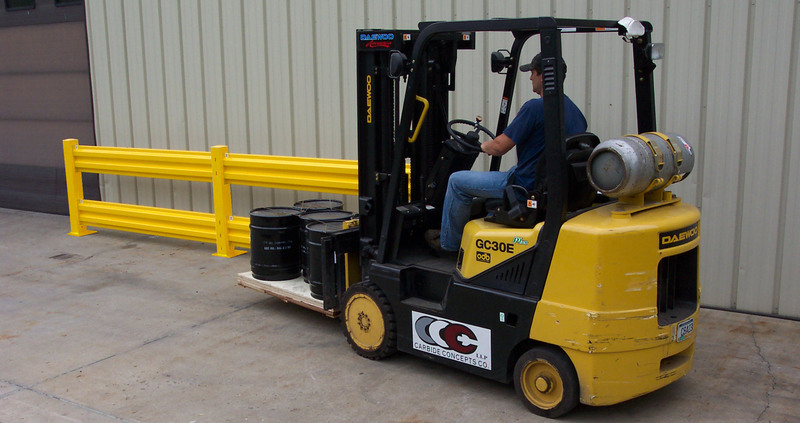 Exteriorguard® in DC Velocity Magazine and Safety + Health Magazine. Visit our Press page to learn more. Then contact us today! 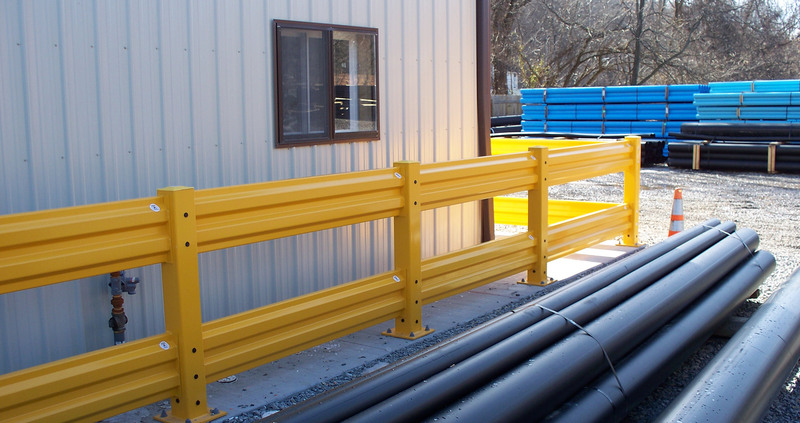 Exteriorguard® Guardrail – Highly Visible Yellow Rails. 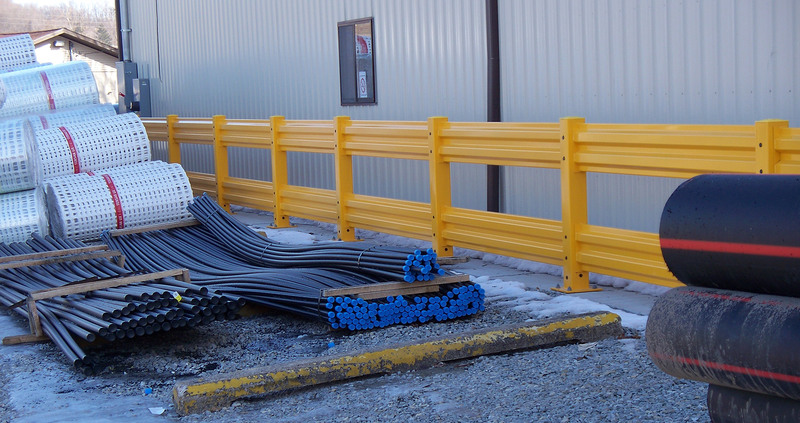 Check out our Exteriorguard® Details page for more information. EG-10R - 10' - 115"
EG-9R - 9' - 103"
EG-8R - 8' - 91"
EG-7R - 7' - 79"
EG-6R - 6' - 67"
EG-5R - 5' - 55"
EG-4R - 4' - 43"
EG-3R - 3' - 31"
EG-2R - 2' - 19"
10,000 lb. breakthrough at 4mph. Download a printable version of the Exteriorguard® Installation instructions. Draw a layout of your project using the grid on the worksheet. 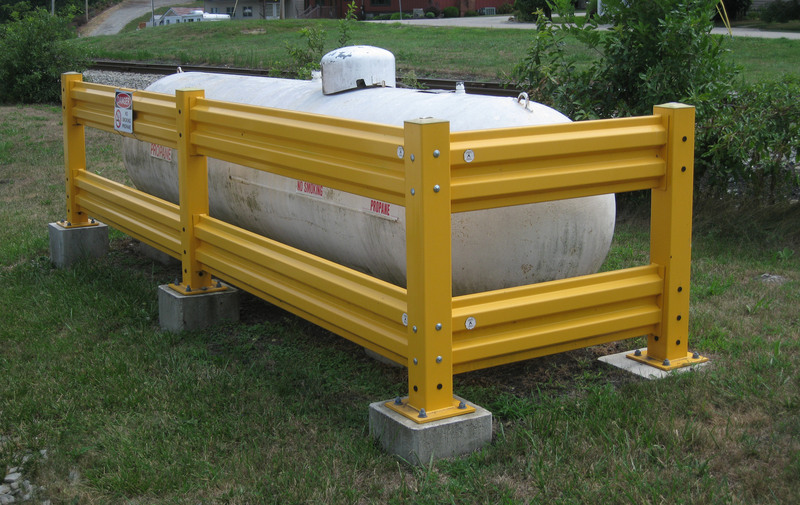 Include dimensions and other facts such as rail height. Download a printable version of the Exteriorguard® Architectural Engineering Product Specifications.